Warmer weather is certainly on its way, which means a few things for me. First of all, I need to make sure the storm drains are clear so that when all the snow melts, we won’t have a flood in our front yard (I live close enough to Lake Michigan, I don’t need a smaller version at the onset of my porch). But aside from that daunting task, it also means fun things like planning my spring garden selections and prepping our boat for future outings once again. Living near Lake Michigan is so wonderful for many reasons. One of my favorites is of course the several-mile-long path that extends along water providing excellent, tranquil views and a front-row seat to the harbor. Another thing I love is the very social boating scene here. People take a lot of pride in their vessels (most likely because the majority of the year we are scraping snow off our cars and turning up the thermostat!) and it's really nice to see. One of my favorite things to do once the weather gets nice again is to head out and spend a lazy day prepping our boat at the dock. I think this must be a favorite pastime for several others as well, since we are never alone out there. I don’t mind though, we all get along great and share boating adventures and helpful tips. Speaking of, here are some of my best boat-season tips, courtesy of Curtain-Tracks.com. 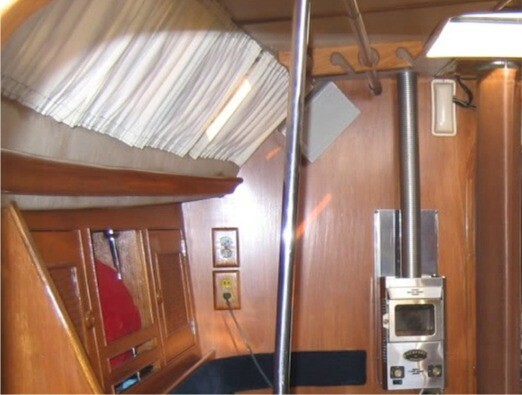 Replace old curtains and curtain carriers: Freshen up your boat with new boat curtains. After a few seasons of sailing, it's easy for existing curtains to get a little grimy. This can be especially true in salt water environments. Curtain-Tracks.com offers several options to swap out your current curtains. If your current boat curtains are still in good shape, you may need to replace broken or missing carriers or end stops. Add a shower curtain track in the head: Less bulky and more functional than a typical rod, installing a curtain track for your shower is a great way to save space and keep things looking nice. Try a bendable shower curtain track kit for spaces with a unique shape. We also offer custom sized shower curtains in a range of fabrics, allowing your to customize your installation from "head" to toe. Add curtains for more privacy: Even though our boat isn't huge, it's still nice to think we can create a few sections and add more privacy with the simple addition of a few easy-to-hang curtains. Installation is a breeze with hardware from Curtain-Tracks.com. Bunk or berth curtains are a great way to offer privacy in tight quarters. Add boat curtains to improve the appearance: Boats are gorgeous vehicles, and owners tend to take a lot of pride in how they look on the outside and the inside. One way to pep up the interior is to add curtains. Check out our selection to see how you can spruce up your boat this spring and summer. There you have it! What tips to do you have for fellow boaters? Also, feel free to submit some photos for our blog, we’d love to see your boat’s interior. Thanks in advance!